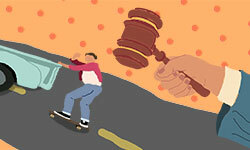 Skateboarding attracts fanatics. Only those willing to slam stay in the game. 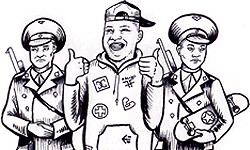 And within skating’s self-selecting society, many dedicated sub-factions have emerged over the years. Some worship at the temple of the curb. 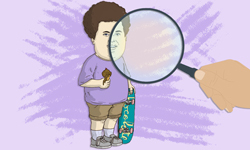 Others are loyal only to certain brands, which occasionally act as sects unto themselves. 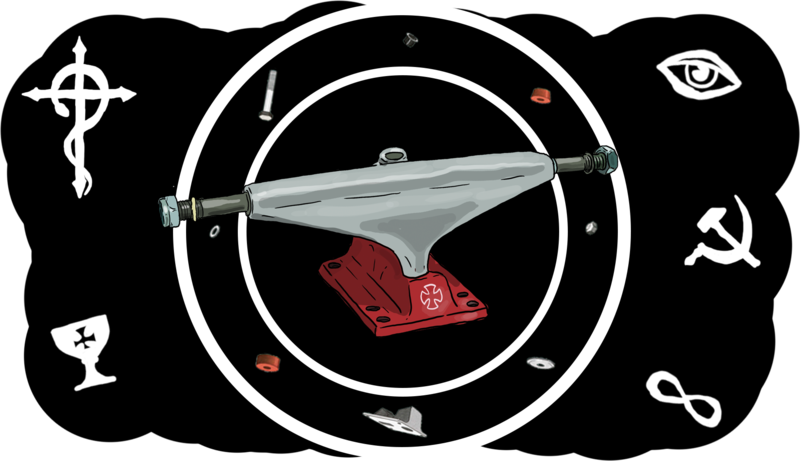 But even among those with faithful followings, no company boasts more devoted maniacs than Independent Trucks, which has seen devotees grinding down to the axle and getting the brand’s cross logo tattooed on their bodies for almost 40 years. 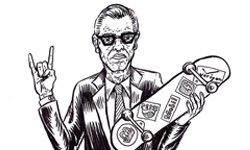 Of course, as any skate nerd knows, the cult’s knowledge isn’t all that mysterious if one digs a little deeper. Indy assigns each of its new trucks a numbered “stage,” denoted with Roman numerals, probably because that’s simply the most punk way to label something. 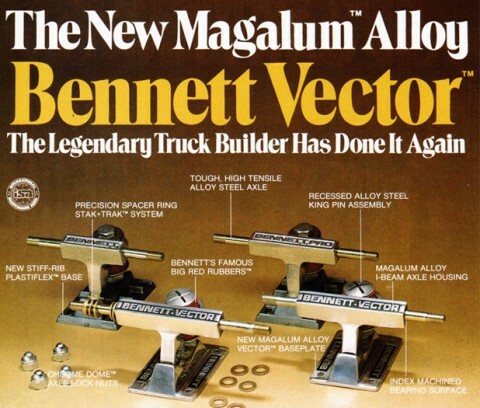 The first Indys came out in 1978, designed as a combination of what brand manager Keith Wilson describes as “the two things from the best trucks: the turn of the Bennett and the modern durability and adjustability of the Tracker.” Those first trucks are Independent Stage Is. 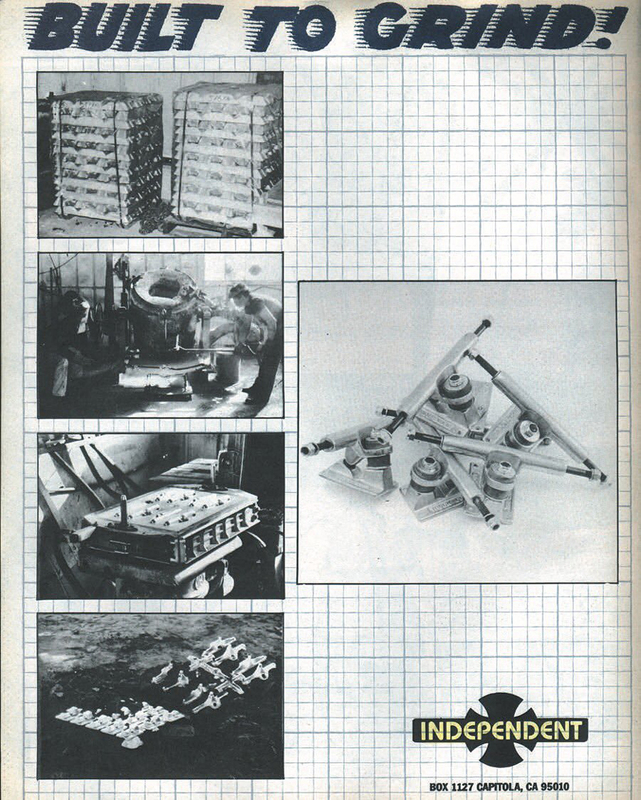 Stage II came next in 1979, and so on. 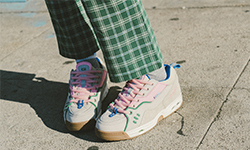 Each new stage has featured minor upgrades, shaving off aluminum for weight, “pinching” the baseplate for durability, or adding support “wings” to the hangers, which swoop down distinctively towards the pivot creating lightweight strength. When asked, Rowley confirmed Wilson’s words. 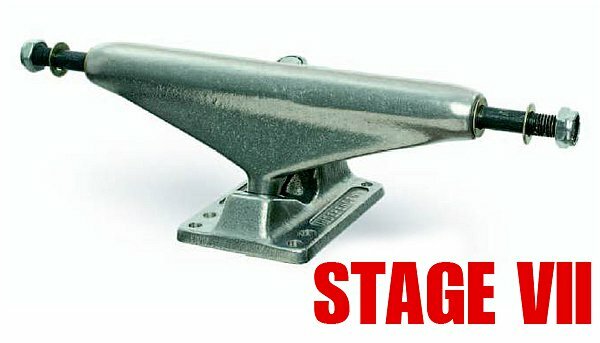 “I’ve ridden Stage VII Indys exclusively since 2005,” he said. But when pushed to reveal why he’s a longtime member of the old-school Indy cult, the Englishman wouldn’t say. 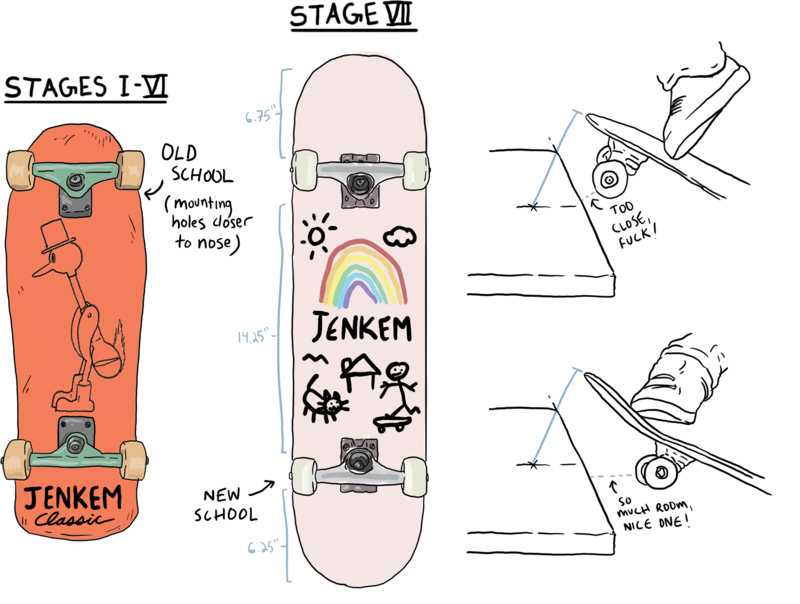 Luckily, Swedish artist, Insta skate favorite, and JK Industries rider Ludvig Håkansson was more forthcoming. 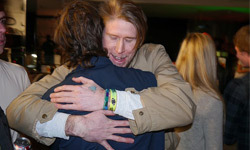 “The turn is more responsive,” he explained, offering at least some insight into the mind of an old-school Indy rider. Still, that info didn’t exactly settle anything. 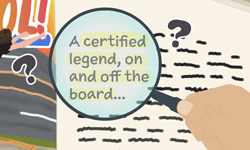 Maybe the magic is in the technical specs of each stage. Though Independent has produced 11 different stages now, there have only been a couple of big changes to Independent geometry over the years. 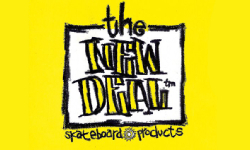 According to Wilson, advancements in street skating spurred the first big change in 1993. Before that, the mounting holes on boards were closer to the nose, putting very little baseplate metal between the bolts and, say, a curb. 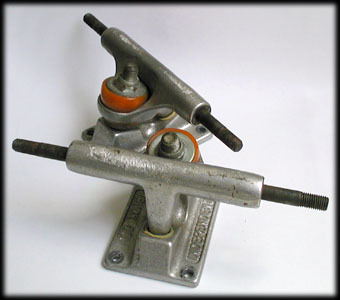 As nose- and tailslides became standard, skaters would literally shave their bolts off on the rough concrete. 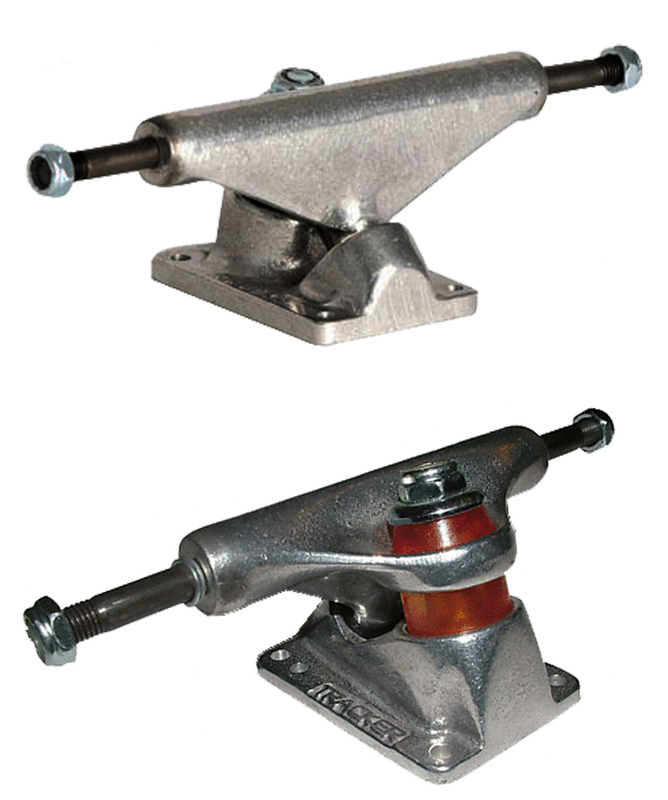 Indy’s stage VII trucks offered a solution. 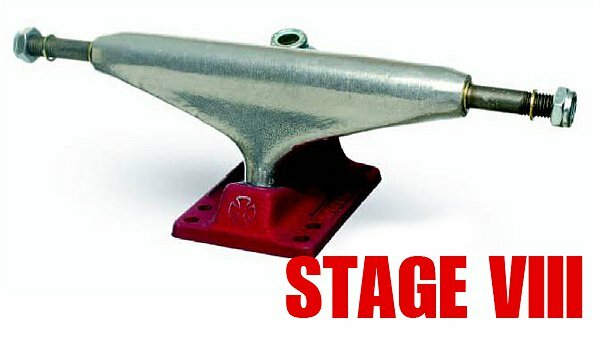 With a thicker, sturdier pivot housing and redesigned mounting holes that were set back on the baseplate, closer to the center of the board, Independent Stage VIIs kept bolts safely out of the way of curbs and ledges. Clearly, 1993’s Stage VII turn pretty much like previous models, offering scant explanation for why so many riders are obsessed with old school Indy designs. And if this first big geometry upgrade doesn’t explain the cult of old Independent riders, it stands to reason that some other tweak must be responsible. That other tweak is likely the next alteration Indy made to its geometry in 2003, with Stage IX. 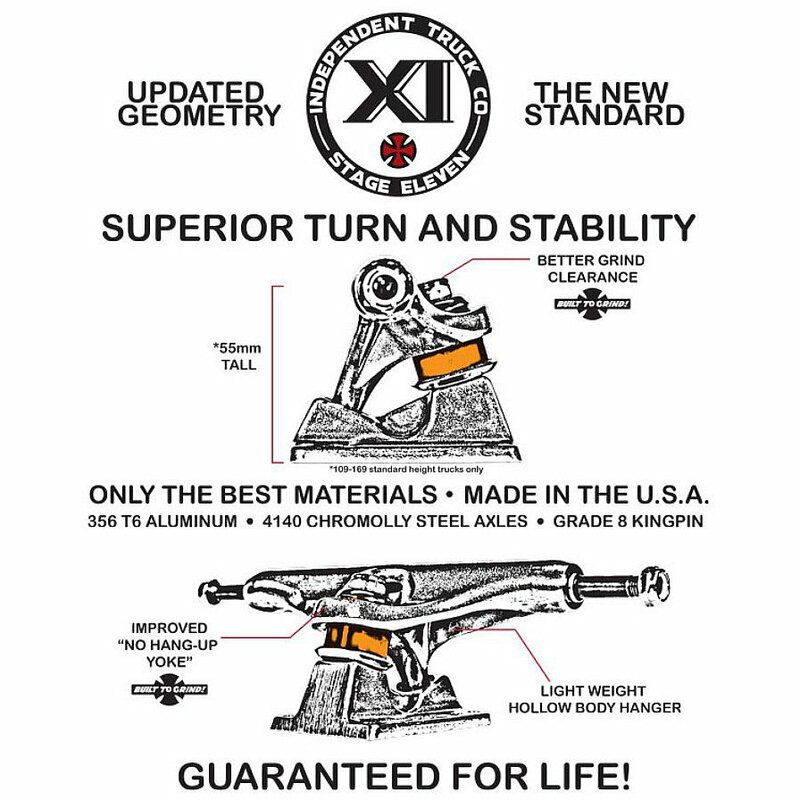 The Stage IX modifications dropped standard Indys from 55mm to 53.5mm, totally altering the turn. It didn’t help that the baseplates sucked too. 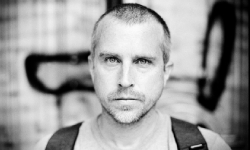 “They fucked up on the baseplate pretty bad and put two holes in it,” Wilson recalled. 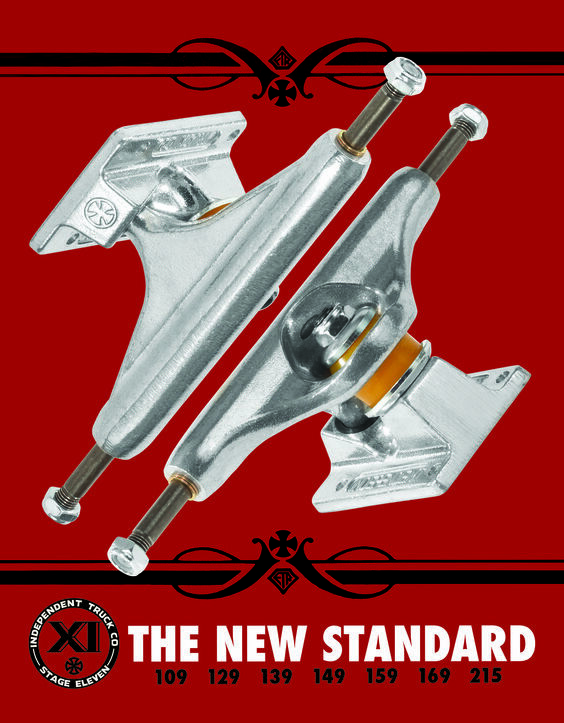 “Those things broke.” Though Independent returned to a beefed-up baseplate for Stage X, the lower geometry remained and the trucks just didn’t turn like old Indys, making many riders to look to past models to get the perfect turn. And it’s that awareness that just might explain the changes Independent made to its latest model, the Stage XI, which came out in 2013. No sane brand would ever keep competing with its own back catalog, right? Though Wilson didn’t explicitly say that the cult of old Indy riders impacted recent design tweaks, he did confirm that older models definitely influenced his decisions concerning Stage XI. “I wanted to get it back as close as possible to the Stage V to VII geometry,” he told us. 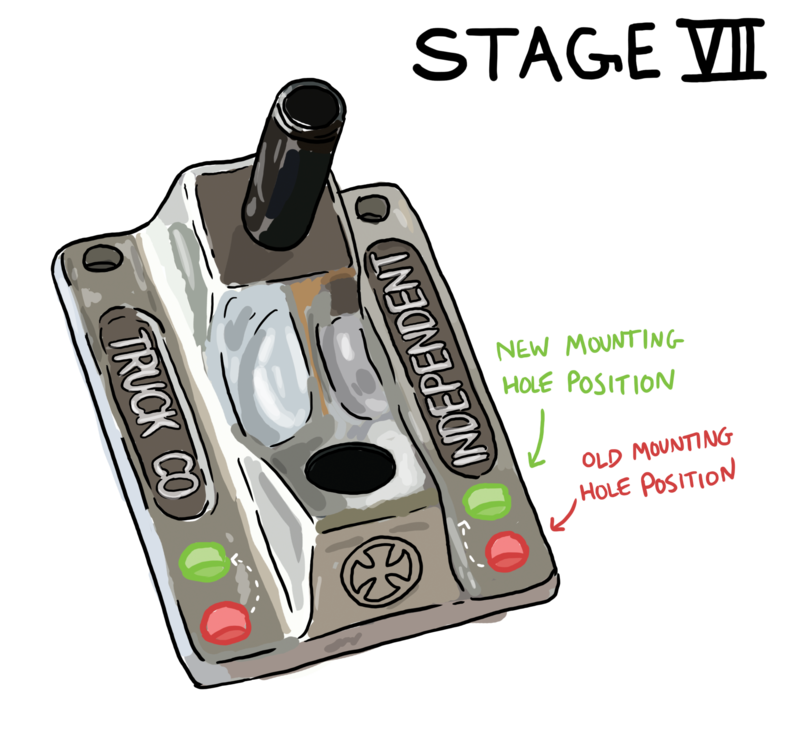 Accomplishing that required some retro-inspired redesigns, including a return to the classic 55mm height and pivot and kingpin angles inspired by Stage V.
So if Indy’s cult followers can access the best parts of their beloved older designs in newer truck models like the Stage XI’s, might they be less concerned about stockpiles of 20-year-old hunks of metal? Maybe. 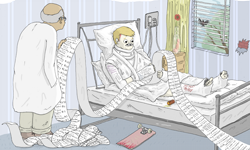 But the collector’s sickness runs deep. 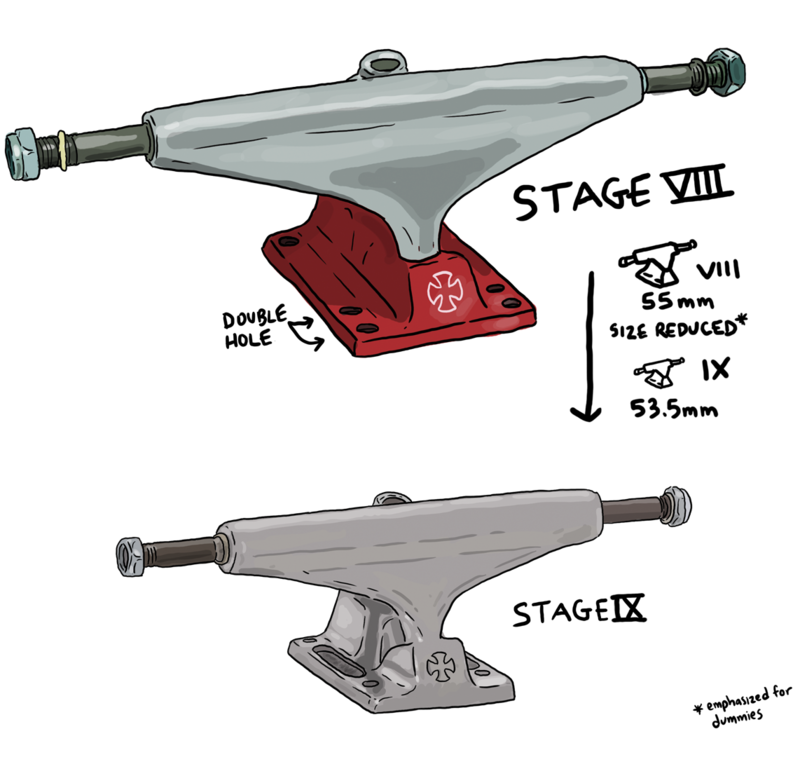 Some will keep stacking old trucks, only now they won’t worry about where to find the right pair of trucks. Share this with metal heads on Facebook. Report this as turnt on Instagram and Twitter. 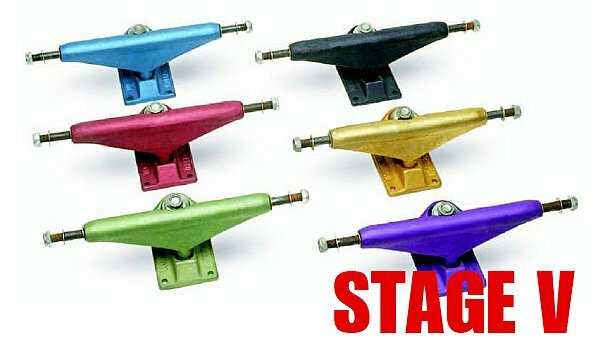 the stage 9s were a success in terms of indy branching out to technical street skating market. Because they were lower and lighter and dropped the 6 hole base plate. 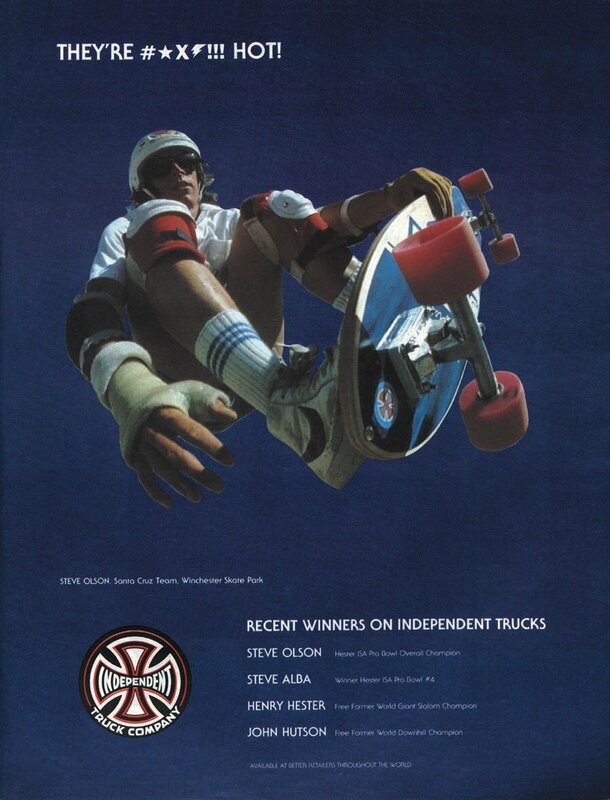 Alot of pro’s and skaters that maybe rode venture at the time (probably the biggest truck company of the early 2000’s) started to come back to indy when stage 9 came out. 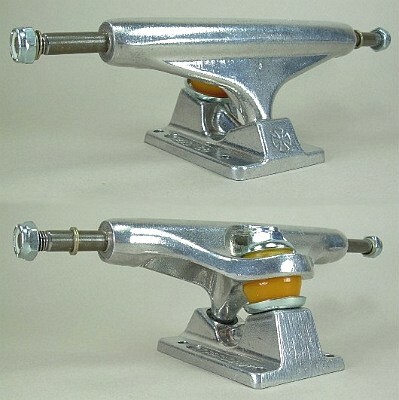 There were a few die hard indy riders that rode them before that, even doing technical street skating on the heavier, vert oriented predecessor, in favor of its turning and stability, but it wasnt until stage 9 that you saw its popularity grow. 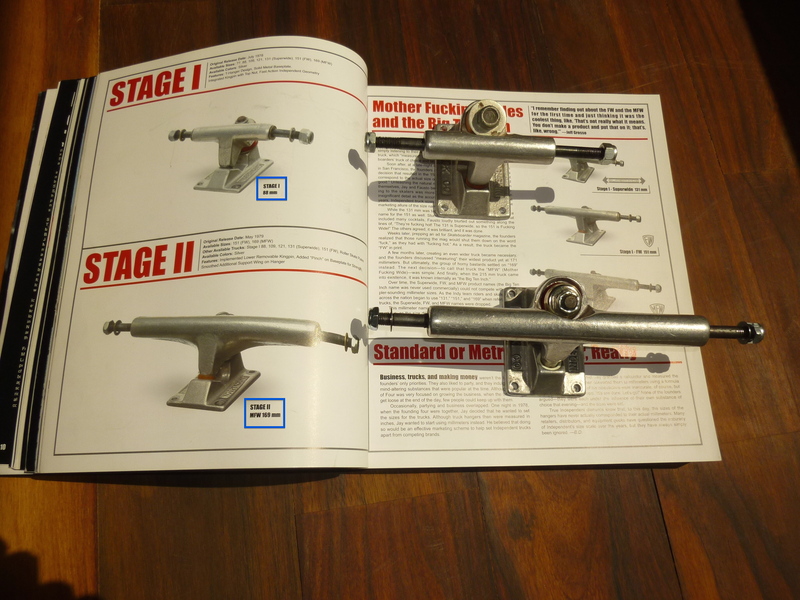 I believe the stage 11’s more came as a result of the steep, sharp turning of ace trucks, which gained popularity and promised the turning of older indys from the 80s. As well as some street skaters who took the bottom washers out of the stage 10’s because they didnt turn very much. To me it explains, the bigger, akward bottom washer on the stage 11, begging to be removed. As well as the additional height on the axle that would allow them to sink down to normal height with no washer.